Genie bottles seldom look so delicious! 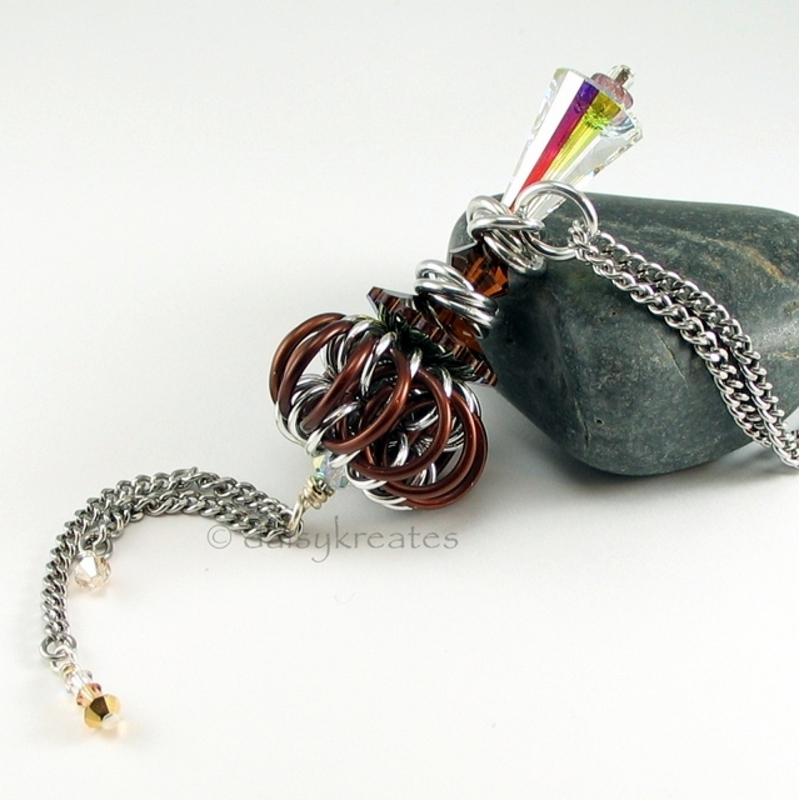 Rich dark brown color adds a mysterious flair. 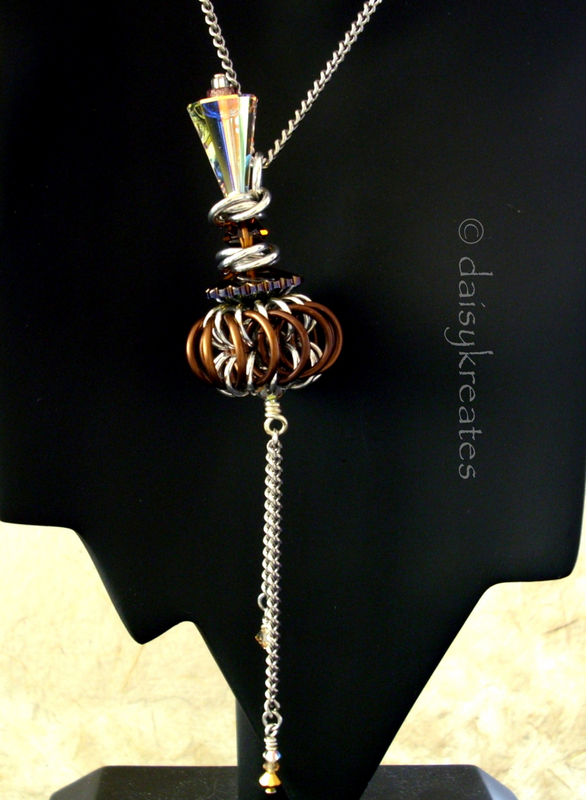 The genie bottle pendant is a DaisyKreates' original design; this chocolate brown beauty is a rarety all on its own. 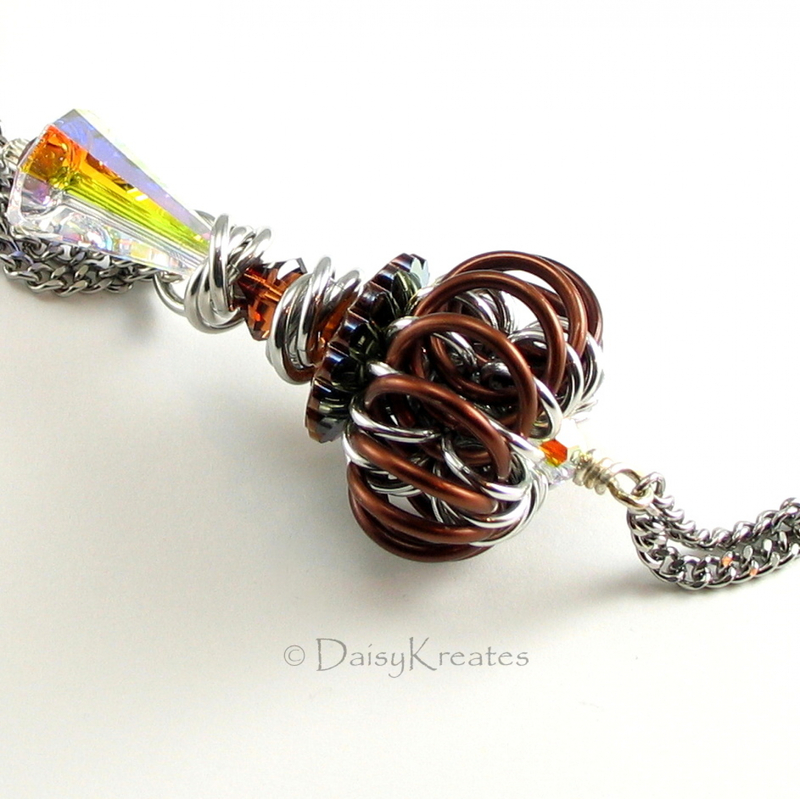 The genie bottle is highly embellished with large vintage Swarovski crystals, metal swirly spacers, and intricately handwoven bottle chamber. 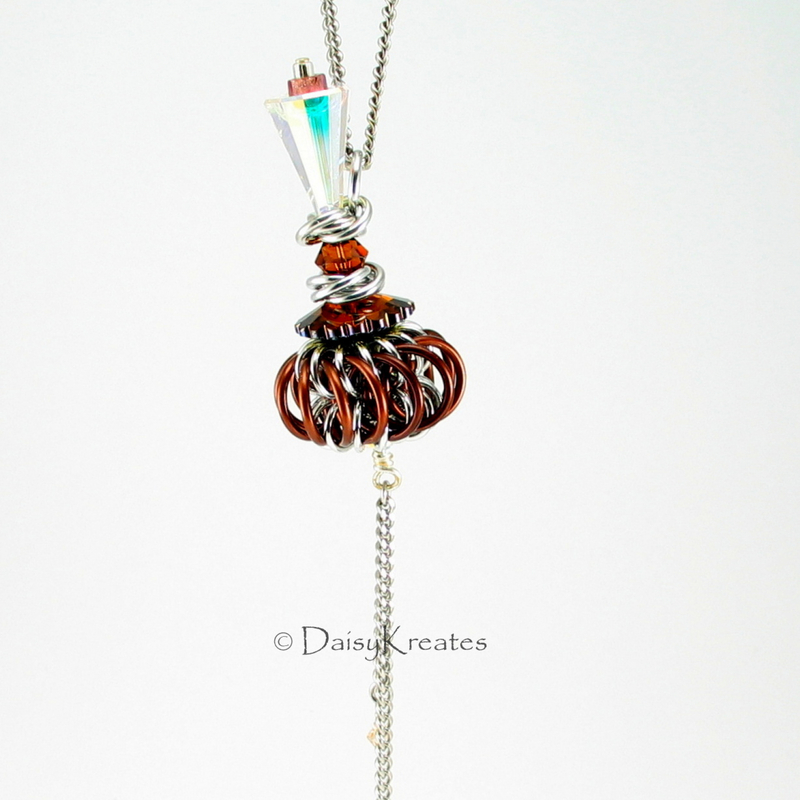 The pendant itself is 2 1/4" tall, plus 3" long slender tassels with more twinkles, they echo the smooth 32" necklace in stainless steel curb chain. More color(s) available by special order; please contact me for more options.